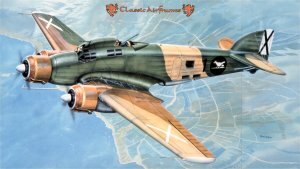 The Savoia Marchetti SM.79 is probably the most recognizable aircraft to serve in the Italian Air Force during World War II. While it was officially named 'Sparviero' (Sparrow Hawk), it was also known as the 'Gobbo' (Hunchback) due to its unique silhouette. Its designers followed the same design philosophy as other international civil aircraft designers of the era including Junkers and Ford - three engines provide a good balance between performance and safety. Originally designed as a civil transport, the SM.79-I set records in international competitions during the mid-1930s. The SM.79-I was powered by three 750 hp Alfa Romeo engines. In the late 1930s, the Italian Air Force began receiving the SM.79-II powered by three 1,000 hp Piaggio P.XI RC.40 engines. One additional domestic variant was produced - the SM-79-III that was essentially an SM.79-II with a forward-firing 20mm cannon and no ventral gondola. Over 1,300 Sparvieros were produced through 1944. The SM.79 was used as a bomber and transport during the Italian alliance with Nazi Germany, but it gained its 'fame' as a torpedo bomber in the Mediterranean. The Sparviero was responsible for sinking several Royal Navy destroyers and the heavy damaging a battleship and the aircraft carriers Indomitable, Victorious and Eagle. Who would have ever thought that we'd ever see an injection-molded kit of the Sparviero in 1/48 scale? Thankfully someone did, and that is none other than Classic Airframes, continuing to produce kit subjects that are overlooked by other model manufacturers. Of course, not to be outdone, Trumpeter also released the Sparviero in 1/48 scale. Take a look at this kit and a comparison between the Classic Airframes and Trumpeter kits here. 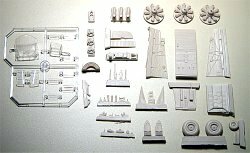 The kit is comprised of 55 medium gray injection-molded styrene parts, 11 injection-molded clear styrene parts, and 60 beautifully cast resin parts. 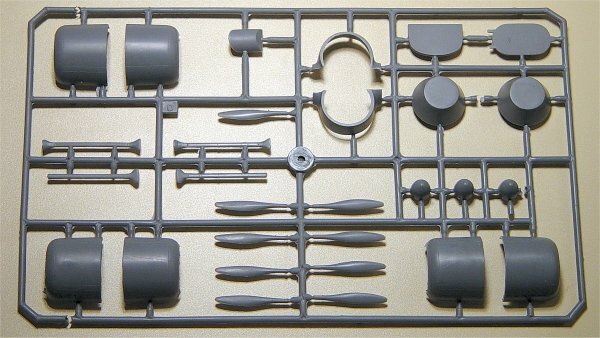 The instructions also indicate that a fret of photo-etched parts are also provided for throttles, control levers, antennas and miscellaneous details. 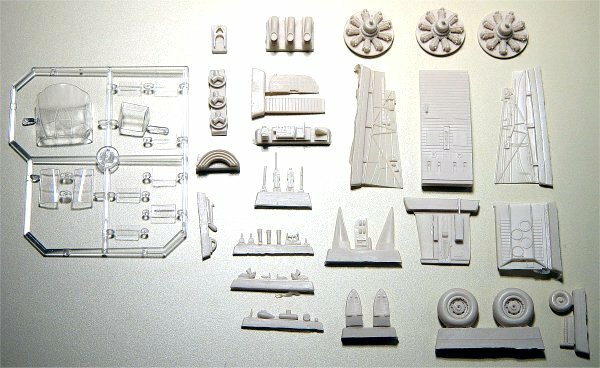 As with all of the latest Classic Airframes kit releases, the styrene parts are crisply cast with finely scribed details and very little residual flash. Furthermore, you'll notice a significant number of ejector pin marks on the molding trees as they've taken great pains to minimize ejector pin marks on the kit parts. There are very few ejector pin marks in visible places and these are raised, not sunken, making clean-up very simple. You will have to likewise remove other ejector pin marks that are not going to be visible in order to assemble the kit, but these are also easily dealt with. When you look at the instructions, you'll be amazed at all of the detail that goes into the cockpit area, including the gunners position at the rear of the hunchback. 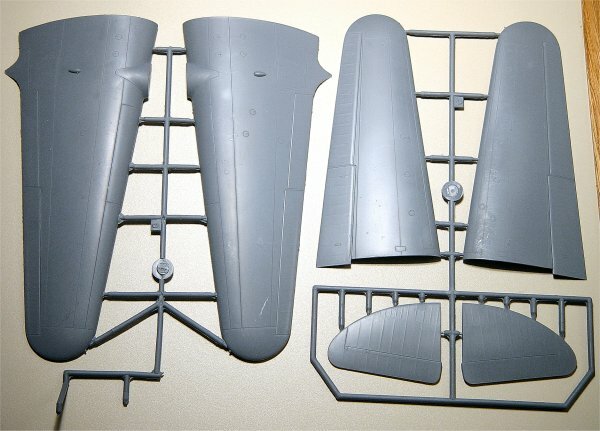 If you model the aircraft buttoned up, you'll have a hard time seeing much of this detail, but thankfully there are parts provided to pose the accordion hatch at the rear of the hunchback open, allowing visibility into all of that detail! Construction of this kit is very straightforward. As with all limited run kits, you'll need to dry-fit and sand each of the subassemblies to ensure a good tight fit, but no special skills will be required if you're experienced with assembling multimedia (plastic, resin and photo-etch) kits. 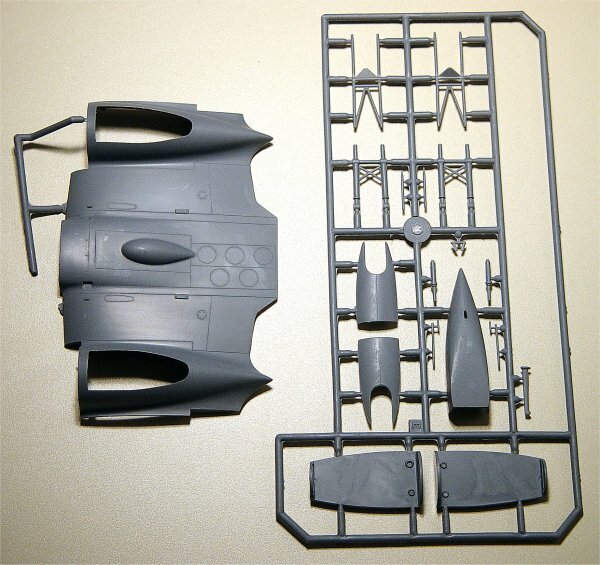 If your patience and skills are limited to Tamiya and Hasegawa out-of-the-box projects, then you'll probably want to stash one of these on your shelf for the day when you've acquired a wider range of modeling skills. 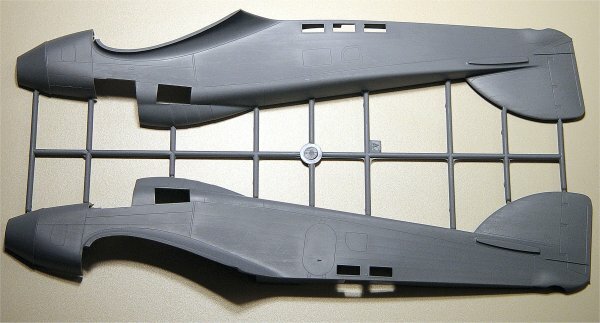 In addition to the open accordion hatch option at the rear of the cockpit, parts are also provided for a beautifully done main cabin door. A separate plastic main cabin door is provided along with a photo-etched boarding step assembly for the inside of the door. There are a few shape issues with the kit, the most noticable being the nose contour between the cockpit and engine number two. You can see how this compares to scale drawings in the comparison article listed above. The decals are beautifully printed and in register. 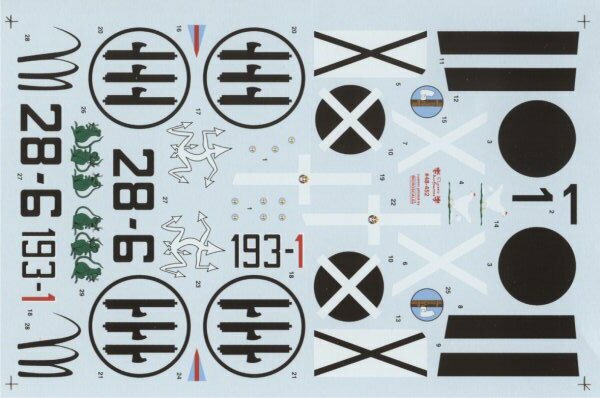 This is yet another beautiful kit from Classic Airframes! The details and assembly layouts appear to provide a very straightforward build. 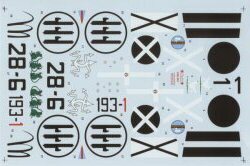 If there was any question as to which scheme I'd be painting this aircraft, that went away when my wife spotted the box art - the chicken laying the egg emblem of 10 Sqn/8 Stormo. This kit is definitely recommended!